LMD: We are about to watch the highly-anticipated first episode of season 2. We’ve seen the new key artwork with old and new characters, and visuals that look like the film, INCEPTION. What can you tell us about Mob -- Kageyama Shigeo -- that has changed since season 1, and are you approaching him differently? IS: I like Pokemon. That is kind of the reason that I wanted to get into voice acting. I really admire Matsumoto Rica, who plays Ash, or Satoshi, in the Japanese version. 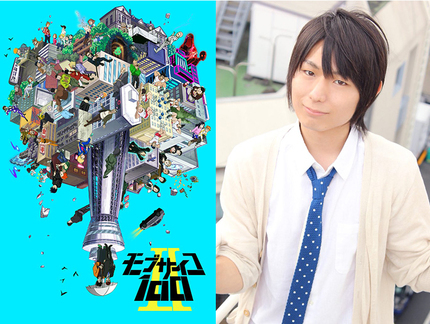 The actor that I have really learnt from is Irino Miyu, the voice of Ritsu. I studied film with him, and I have taken a lot from his acting, because Irino has been acting for very long time, since he was a kid. So, I have taken a lot from his other works, and what he has done before, and studied them. Mob Psycho 100 II begins airing January 2019.